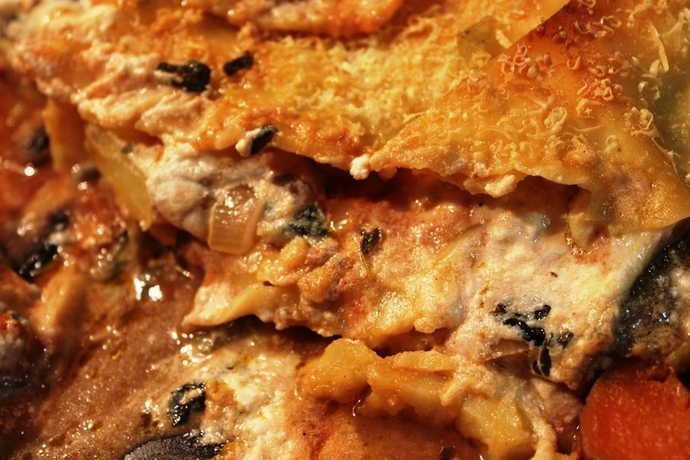 This Vegetarian Lasagne oozes four different varieties of cheese and is really yummy. It has a range of vegetables which you could also add your favorites to if you wish. This is not a complicated dish, however it requires a bit of preparation, which is well worth the effort. Pre cook the lasagne sheets so that they are soft and ready to arrange into layers. Finely chop the onion and garlic and fry in some olive oil. 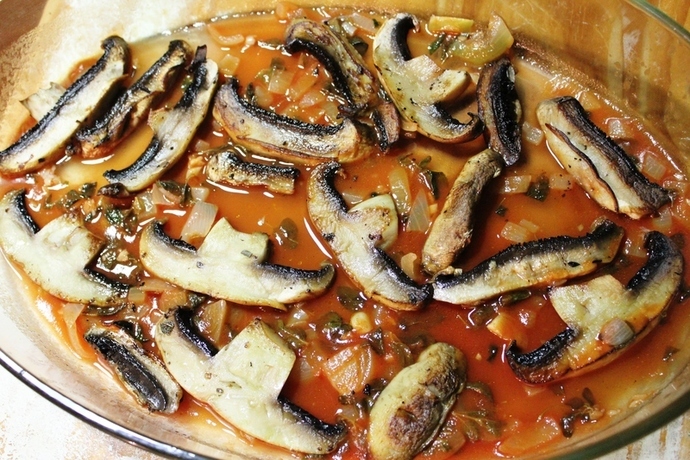 Add the sliced mushrooms and cook until browned. Add the tin of tomatoes and mixed herbs. This will be the base sauce. Spoon half of the tomato sauce into the base of a large baking dish. Add the first layer of lasagne sheets. 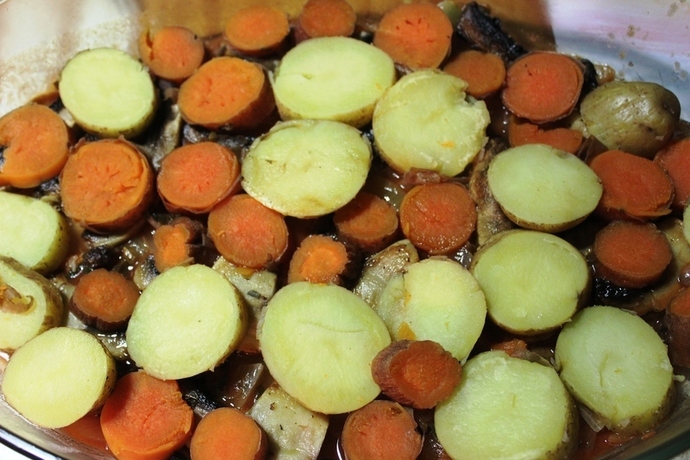 Boil the sweet potato and potato in water and set aside to cool. Add the sweet potato and potato on top of the first layer of lasagne sheets and then smother them in ricotta, and mozarella cheese. 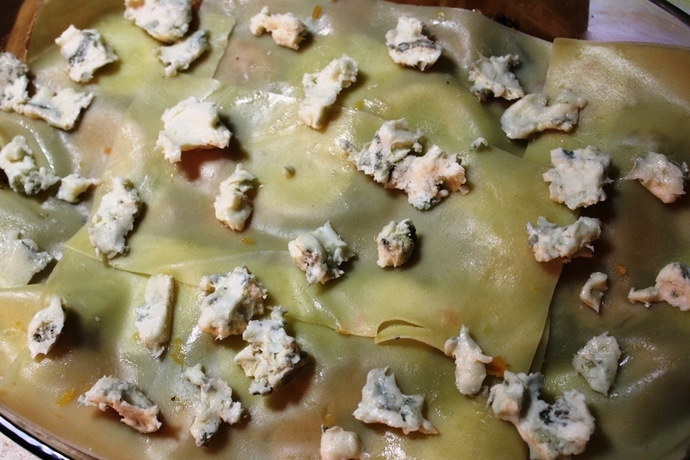 Add another layer of lasagne sheets, then cover with blue cheese and grated parmesan cheese. Add the remaining tomato sauce and a layer of spinach greens. Add the final layer of lasagne sheets. Sprinkle the top with grated parmesan cheese and bake in a moderate oven for 30 minutes, or until golden brown. Serve with a delicious recipe yum salad.